ID TECH is proud to introduce the EconoScan II, our next generation short range CCD scanner that is specially designed to deliver high-end performance at the lowest possible price. The scanner utilizes exceptional decoding technology, making it the best in its class in terms of performance and value. The EconoScan II enables quick contact scanning of bar codes up to 4 inches in length. With an impressive scan rate of 200 scans per second, low quality or damaged bar codes as well as small or high-density bar codes can be read with exceptional speed and accuracy. 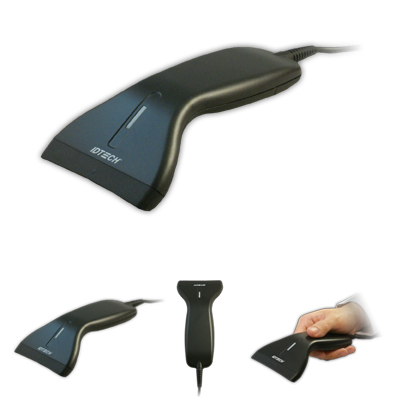 This ergonomic hand-held scanner is ideal to be used in a wide variety of markets, including retail, logistics and light industry applications.